Born in 1981 and raised in Vermont by folk-musician parents, Sam Amidon sings and plays fiddle, banjo, and guitar. A musician who glides through unlikely set of genres from traditional folk to free jazz, Amidon has released seven solo albums, and also plays in the New York-based indie-rock bands Doveman and Stars Like Fleas. His third album, All Is Well, was released by Bedroom Community in 2007. All Is Well was produced by Valgeir Sigurðsson, with orchestral arrangements by Nico Muhly and contributions from Stefan Amidon, Ben Frost, Eyvind Kang, and Aaron Siegel. In 2009, Amidon debuted Muhly's reworked folk composition “The Only Tune” at Carnegie Hall, a composition also appearing on Muhly's 2009 Bedroom Community album Mothertongue. Amidon also released the 2009 LP Fiddle and Drum, featuring free improvisation with Siegel. 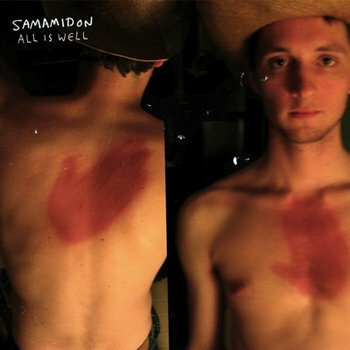 On Amidon's release, I See The Sign (2010), he works with old-time melodies and lyrics as a starting point for creating atmosphere. Each of Amidon's albums has shone with the care and support offered by his collaborators, and never is this clearer than on the sweeping epic of I See The Sign.